There has been an international decathlon competition between the USA and Germany, which has taken place under various names since 1993. In 2006 the heptathlon was added to the competition and in 2007 the Thorpe Cup was born, named in honor of Jim Thorpe the very first Olympic champion decathlete. 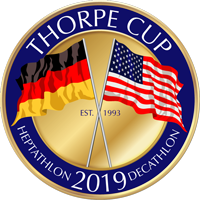 The Thorpe Cup, as we now it today, was founded jointly in 1993 by the German Bundestrainer Claus Marek and USA Visa Team Head coach Harry Mara – coaches of the two strongest nations in decathlon. Keen to establish an international competition for aspiring ‘second tier’ athletes, they decided to create an international team event. There would be 7 athletes representing each country with the points scored by each team’s top five athletes constituting the final team scores. At the inaugural event in 1993 in Aachen, Stefan Schmid won the individual competition with the USA taking the team honors. With the exception of 2004 the Thorpe Cup has now taken place every year since. In 2006 the heptathlon was added to the competition. Like the decathlon this event is also a team competition with the top 3 athletes from teams of five being able to score points for their teams. At the very first Thorpe Cup heptathlon in Manhattan, Kansas, the individual competition was won by Julia Mächtig and the USA were the winners of the team competition. 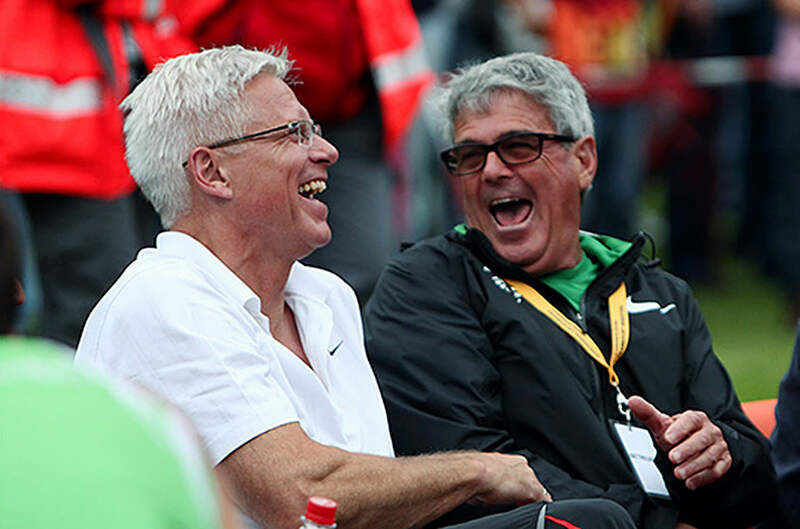 Harry Mara and Claus Marek’s idea to create an international competition for aspiring athletes ranked places 4 to 10 in their countries has clearly paid off, with six American and eleven German athletes going on to achieve Olympic honours via the Thorpe Cup. The venue of the 26th Thorpe Cup is Filderstadt-Bernhausen, which has a long tradition in the hosting of multievents: in addition to the annual international Junior Meeting, the Fleinsbach Stadium was 1980 (Guido Kratschmer, 8667 points) and 1983 (Jürgen Hingsen, 8825 points) not only the place of two world records, but already in 2001, 2003, 2005, 2007 and 2015 also venue of five Thorpe Cups. All texts, photos and content on each page and as well the design and programming of the respective contents are protected by copyright. Copyright © 2015: Zehnkampf-TEAM, Geschäftsstelle, Am Steinlein 2 b, 97753 Karlstadt, Germany • All rights reserved.